The second-largest US public pension fund has admitted it has failed to record total payments made to its private equity managers over a period of 27 years. The admission by Calstrs, the $191bn California-based pension fund, prompted John Chiang, the state treasurer of California, to declare he will investigate the failure, which poses serious questions as to how pension fund money is being spent. The news comes a week after FTfm reported that the state treasurer had voiced “great concern” that fellow pension fund Calpers, the US’s largest at $300bn, also has no idea how much it pays its private equity managers. 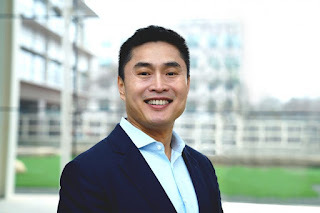 Mr Chiang said he would demand clear answers from Calpers over why it does not know how much has been paid in “carried interest” or investment profits over a period of 25 years to the private equity managers running its assets. Following questions from FTfm, Mr Chiang said he would demand Calstrs look into payments of carried interest to its private equity managers. “Disclosure [of carried interest fees] is very important,” said Mr Chiang, who sits on the administration board of both Calstrs and Calpers. The revelations come just weeks after US regulators issued an explicit warning to the private equity industry to expect more fines for overcharging investors. Calpers, which uses more than 100 private equity firms, identified a need to track fees and carried interest better in 2011, but it has taken until now to develop a new reporting system for its $30.5bn private equity portfolio. But Calstrs, which manages a $19.3bn private equity portfolio and has 880,000 members, said it has no plans to upgrade its systems for tracking and reporting payments to private equity managers. 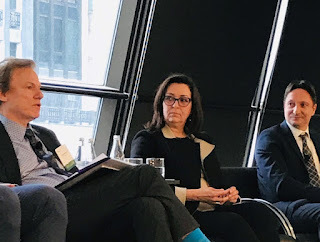 Margot Wirth, director of private equity at Calstrs, said it used “rigorous checks” to ensure private equity managers took the right amount of carried interest. All of Calstrs’ partnerships with private equity managers were independently audited, Ms Wirth added. She said the pension fund carried out its own internal audits and employed a specialist “deep dive” team to look at private equity contracts. Prof Phalippou said the same would be true of Calstrs, which first invested in private equity in 1998. Ms Wirth argued it was “wrong to conflate the fees paid to private equity managers with carried interest”. The fear is that if sophisticated investors such as Calpers and Calstrs faced difficulties in obtaining accurate information, then it could only be harder for smaller pension funds, endowments and wealth managers that are less well resourced. The staff and board members of California public pension fund CalSTRS continue to embarrass themselves in their efforts to justify their indefensible position on private equity carry fees. Readers may recall that the biggest public pension fund, CalPERS, had a put-foot-in-mouth-and-chew incident when it said it didn’t track the profits interest more commonly called “carry fees,” which is one of the biggest charges it incurs on its private equity investments. CalPERS added to the damage by falsely claiming that no investors could get that information. After we broke that story and a host of experts and media outlets criticized CalPERS over the lapse and the misrepresentation, CalPERS reversed itself. It asked its general partners for all the carry fee data for the entire history of all of its funds, and obtained it all in a mere two weeks, with only one exception out of the nearly 900 funds in which it has invested. So what has the second biggest public pension fund, CalSTRS, done? Like CalPERS, it has admitted that it does not track carry fees. But in a remarkable contrast, CalSTRS is attempting to justify inaction by misleading beneficiaries as to how much information it really has and saying that it’s thinking really hard about what (if anything) to do. The dishonesty of the CalSTRS position is evident in its e-mails with the Financial Times after the pink paper reported that CalSTRS, like CalPERS, did not track carry fees, and California Treasurer John Chiang, who sits on both the CalPERS and CalSTRS boards, said he would press CalSTRS to look into the matter. I became aware of the contretemps when an FT reporter called me to thank me for my work. I asked him how CalSTRS was taking his story. He said they weren’t happy with it and they’d offered CalSTRS the opportunity to publish an op-ed, which was running early the following week. When I failed to see any such article, I contacted the reporter, who said his editor had rejected the article. I then lodged a Public Records Act request (California-speak for FOIA) for the op-ed and all e-mails between CalSTRS and the Financial Times from the date the Financial Times ran the article on CalSTRS’ carry fee tracking. Ricardo Duran, a spokesman for the California State Teachers’ Retirement System, said CalSTRS can estimate the fees “within a couple of percentage points” but doesn’t report the figure. The following paragraph talks about [California Treasurer and CalSTRS board member] Mr. Chiang’s demand of CalPERS about how much has been “paid in carried interest.” Carried interest is not a payment but a profit split. I believe [head of private equity] Margot [Wirth] mentioned that distinction as well. The language throughout the piece conflated carried interest with management/manager fees. That’s fine if that’s the way you want to characterize it. I only ask if you write about CalSTRS and carried interest again, you specifically mention this and attribute it to me or Margot. So get a load of this: CalSTRS demanding that if the FT ever dare report on CalSTRS’ carry fee reporting again, that it include the staff’s pet position that a carry fee is not a fee, even when that contradicts statements by board members who oversee CalSTRS. Since when do mere employees a California agency have the right to undercut on-the-record statements of top California government officials? The email exchange in which CalSTERS argues with the Financial Times over the question of when is a fee not a fee has a certain Alice in Wonderland quality. The CalSTRS representative insists that a fee is not a fee if it takes the form of profit sharing. But profit sharing is clearly a performance fee – a fee paid to the PE investment manager based on the performance of the PE fund. Private equity general partners put up around 1% of the money in a fund once you back out management fee waivers. They get 20% of the profits. The part over and above their pro-rata share is clearly a fee. As we lawyers like to say, res ipsa loquitur. The Partnership will not invest in investment funds sponsored by, and as to which a management fee or carried interest is payable to, any Person…. Gee, KKR says in its own agreement that carried interest is indeed “paid” just like management fees! But this is all a warm-up to the op-ed that the chairman of CalSTRS’ board, Harry Keiley, submitted to the Financial Times. It’s troubling to see a board chairman defend staff’s delaying tactics after another board member has demanded answers. Moreover, it is peculiar to have a defense of CalSTRS’ position on carry fees come from someone who is almost certain never to have seen a private equity fund’s financial statements or reviewed the language in limited partnership agreements that describe the distribution “waterfall,” as opposed to the officers who are responsible and who presumably have expertise. We at CalSTRS are in favor of more, rather than less, transparency and disclosure as our history and current checks and balances show. We agree that it’s important for the public to know the estimated amount of carried interest investment managers are earning, tracked as net profits, which a majority of public pension plans report. Almost all private equity partnerships split profits, with the investor (e.g. CalSTRS) taking at least 80 percent and, at most, 20 percent taken by investment managers. Typically, a partnership must earn a minimum of 8 percent return for its limited partners (e.g. investors) before an investment manager earns any carried interest. Also, there are several large, publicly-owned private equity investment managers that report their earnings to delineate their carried interest income. I am confident that the CalSTRS board will continue to examine the issue of reporting carried interest in the context of its overall private equity disclosure practices to ensure we are taking all necessary steps to have full awareness and understanding of both fee and profit structures. Within our private equity program, we have always reported our returns net of all costs and fees. What strikes me in the CalSTRS op-ed and their correspondence with the Financial Times is the complete lack of consistency in what CalSTRS’ board is saying. 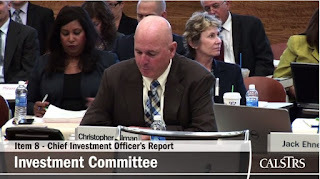 Mr. Keiley, Board Chair of CalSTRS, says that the pension fund agrees that it is important for the public to know what the pension fund pays to its investment fund managers. He finishes that sentence, however, by saying that CalSTRS fulfills that obligation by tracking and reporting net profits. I don’t know what subject Mr. Keiley teaches, but is it possible that he doesn’t understand that this is the crux of the matter? Tracking net profits is not the same as tracking all fees, expenses and carried interest the pension fund pays to private equity managers. After trumpeting CalSTRS commitment to transparency, Mr. Keiley goes on to baldly contradict himself by asserting: “Within our private equity program, we have always reported our returns net of all costs and fees.” If Mr. Keiley is to be believed, the problem is not that private equity firms don’t provide information on the amount of carried interest they collect; indeed, he asserts that they “keep investors [like CalSTERS] fully informed as to the carried interest shared with their investment managers.” Astoundingly, one is left to draw the conclusion that CalSTRS has that information but chooses not to share it with California’s taxpayers and teachers. Remember, as we stressed with CalPERS, California taxpayers are ultimately on the hook for public pension fund shortfalls. CalSTRS’ double-speak about transparency and its tracking of carry fees reveals that staff and a complaint board are more worried about keeping relations with limited partners friction-free rather than putting the interests of their beneficiaries, Calfornia schoolteachers, first. I encourage you to send this post to people you know in California, particularly public school teachers. Urge them to e-mail Keiley to give him feedback on the terrible arguments he presented. Tell him that CalSTRS has no excuse for dragging its feet on obtaining carry fee data given that CalPERS has done just that. It would also help to tell him that it does not reflect well on him or the board to mislead the public, as he intended to do had the Financial Times not saved him from himself. Given the e-mail address, I am highly confident that this contact information (p. 11) is indeed Keiley’s. I request that you NOT call him unless he fails to respond to an e-mail after two attempts. Thomas Jefferson said, “When government fears the people, there is liberty.” There’s clearly no fear at CalSTRS. I hope you instill some. * Many private equity funds actually do disclose their carry fee payments in their quarterly distribution notices, so in those cases, CalSTRS would have good data. But CalSTRS uses the same private equity management system that CalPERS does, State Street’s Private Edge. Private Edge does not have a field for recording carry fees. One of CalPERS’ excuses for not capturing carry fees was that it didn’t have a system for doing so, as if it would be too difficult to keep it in a speaadsheet in Excel. ** There is a considerable body of research that shows that people become persuaded of a point of view they advocate, irrespective of whether they originally believed it or not. For instance, trial lawyers who represent clients they strongly suspect are guilty come to believe they may be or even are innocent as they develop arguments supporting a “not guilty’ plea. Mr. Keiley is the chair of the Teachers’ Retirement Board, the governing body of the California State Teachers’ Retirement System. Mr. Keiley is a high school teacher with the Santa Monica-Malibu Unified School District, and was elected to the Teachers’ Retirement Board in 2007. With assets of $191.4 billion and nearly 880,000 members, the California State Teachers’ Retirement System (CalSTRS) is the largest public pension plan in the world dedicated solely to serving educators. In addition to being one of the largest public pension plans, CalSTRS has one of the most comprehensive private equity programs globally. Begun in 1988, the current market value of our private equity portfolio is $19.3 billion. 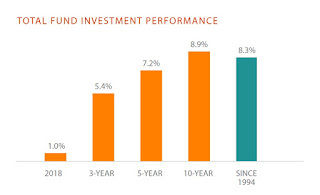 Since inception, our private equity program has generated over $21.8 billion in profits for the benefit of our members.CalSTRS’ highest returning asset class, private equity has returned on average 12.3 percent per year over the last ten years – well above the plan’s overall ten-year average of 6.8 percent and that of broad-based stock indices which averaged approximately 8.2 percent. 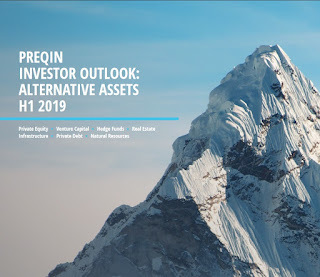 Given its healthy performance over the past decade, the private equity program has also played an important role in the total CalSTRS portfolio by contributing excess returns above our long-term earnings assumption of 7.5 percent, thereby having a positive impact on the system’s overall funding. In addition to a commitment to transparency, CalSTRS also places utmost importance on internal control measures and prudent audit practices and, as such, our private equity program adheres to U.S. Government Accounting Standards Board (GASB) standards and General Accepted Accounting Principles (GAAP). Additionally, all cash flowing into and out of the CalSTRS private equity portfolio is accounted for and certified by annual independent audits. Within our private equity program, we have always reported our returns net of all costs and fees. In all cases, CalSTRS receives and regularly reviews independently audited financial statements of its private equity partnerships. It is important to note that, many times, details of those private equity partnerships are confidential due to the agreements signed by the various investors which are funding the limited partnership. 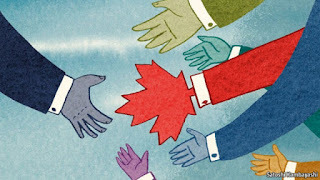 However, as referenced above, capital investors involved in limited partnerships are provided with audited financial statements that disclose carried interest distributions made by the partnerships to the investment managers. As such, there is an established system of strong checks and balances to keep investors fully informed as to the carried interest shared with their investment managers. CalSTRS has been, and continues to be, a leader in the private equity industry. Bringing innovation and diversity to our overall investment portfolio, the CalSTRS private equity program is a leader in transparency and disclosure, and acts as a fierce defender of investor rights when negotiating partnership agreements. CalSTRS is steadfastly committed to reviewing all of the checks and balances outlined above to see if we can improve upon our long track record of transparency and accountability in our disclosure practices. And, we will continue to apply our high standards, expectations, and drive for results to our ongoing and new investment partnerships in an effort to reach and exceed our private equity performance benchmarks. Wow, where do I begin? First, let me praise Yves Smith (aka Susan Webber) for lodging a Public Records Act request (California-speak for FOIA) for the op-ed and all e-mails between CalSTRS and the Financial Times and bringing this to our attention. Second, in sharp contrast to other tirades, I completely agree with Yves Smith, these emails and that editorial are a total embarrassment to CalSTRS and either show gross incompetence on the part of CalSTRS's private equity staff (Keiley didn't write that without their input) or more likely, a pathetic attempt to misinform the public on how much has been doled out in management fees and carried interest ("carry" or performance) fees throughout all these years. Third, and most importantly, I do not buy for one second that the private equity staff at CalPERS or CalSTRS do not track all fees doled out to each GP (general partner or fund) to the penny. If they don't, they all need to be immediately dismissed for gross incompetence and breach of their fiduciary duties and their respective boards need be replaced for being equally incompetent in their supervision of staff (except keep JJ Jelincic on CalPERS's board as he's the only one doing his job, grilling CalPERS's private equity team and asking tough questions that need to be answered). I'm not going to mince my words, it's simply indefensible for any large public pension fund investing billions in private equity, real estate and hedge funds not to track all the fees paid out to the GPs as well as track any hidden rebates with third parties which these GPs hide from their clients, effectively stealing from them. You might be wondering, how hard is it for a CalPERS or a CalSTRS to track fees and other pertinent information from their private equity fund investments? The answer is it's not hard at all. 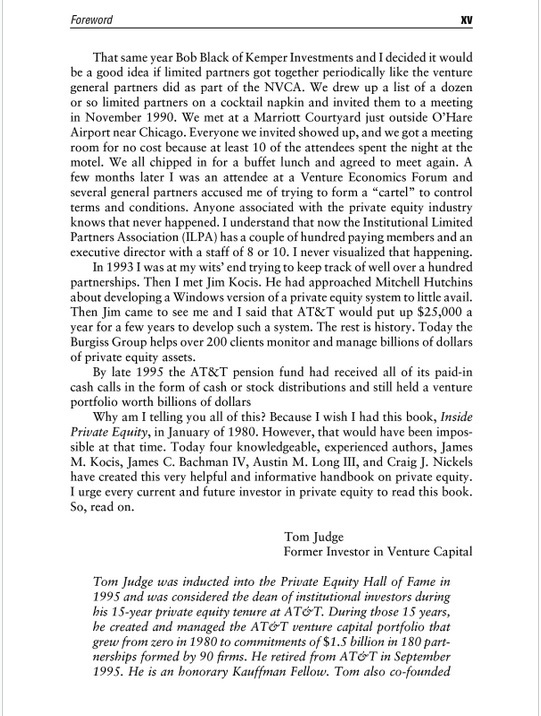 Over the weekend, I was looking at buying a few more books in finance (not that I need to add to my insanely large collection) and was looking at one called Inside Private Equity. 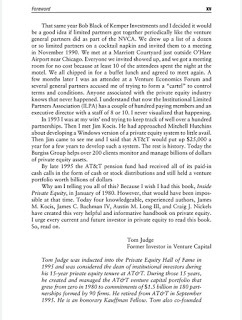 I was attracted to the book because one of the authors is Austin Long of Alignment Capital who I met back in 2004 when I was helping Derek Murphy set up private equity as an asset class at PSP Investments. I liked Austin and their approach to rigorous due diligence before investing in a private equity fund (like on-site visits where they pull records off a deal thy pick at random to analyze it and pick a junior staff member at random to ask them soft and hard questions on the fund's culture). Today the tools Burgiss Group developed support over a thousand clients representing over $2 trillion of committed capital. Why am I writing this? I'm not plugging Burgiss Group because I simply don't know them well enough and haven't performed a due diligence on them but obviously it's a huge firm with excellent experience in tracking detailed information of PE partnerships on behalf of their clients, providing them with the transparency they need to track their fund investments. Again, in 2015, it's simply mind-boggling and inexcusable for a CalPERS or a CalSTRS not to be able to track detailed information on all their fund investments going back decades. This includes detailed information on management fees and carry. What are CalPERS and CalSTRS hiding? I don't know but I think John Chiang, the state treasurer of California, is absolutely right to investigate and inform Califonia's taxpayers on exactly how much has been doled out in private equity, real estate and hedge fund fees over the years at these two giant funds which pride themselves on transparency. Below, I embedded the three investment committee clips from CalSTRS's September board meeting. In the first clip, Chris Ailman, CalSTRS's CIO, discusses their risk mitigation strategies and Mike Moy of Pension consulting Alliance, discusses the performance of private equity in the third clip. I know they're excruciatingly long (you can fast-forward boring sections) but take the time to listen to these investment committees as they provide a lot of excellent insights. Not surprisingly, nothing was mentioned on how exactly CalSTRS is going to track and disclose all fees paid to their private equity partnerships (however, in the third clip, Mr. Murphy, a teacher representing the California Federation of Teachers did mention this issue was a huge concern). If the staff at CalSTRS, CalPERS or anyone else has anything to add, feel free to reach out to me at LKolivakis@gmail.com. I have my views but I don't have a monopoly of wisdom when it comes to pensions and investments and I welcome constructive criticism on all my comments and will openly share your input, good or bad.